This one is simple: Hold, dip, munch. 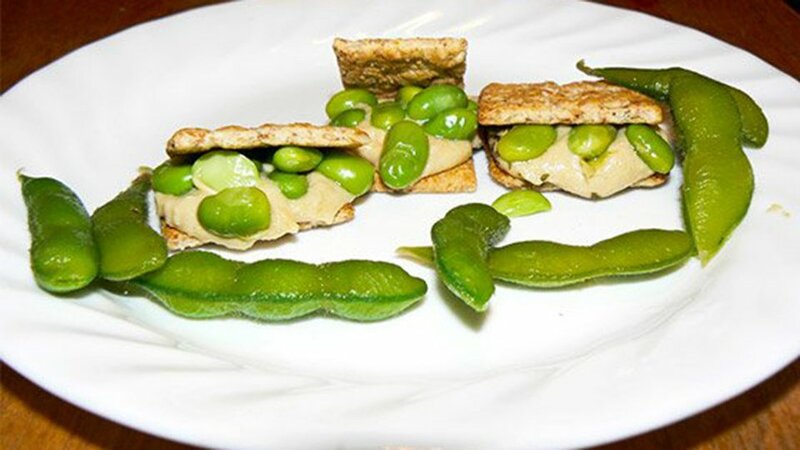 Construct an edamame and cracker tower with hummus as cement. Challenge yourself?how high can you stack? Annoy your cubicle buddies with the sound of crunching. After all, it's good for your health, and that's what matters.